I’ve blogged about Eucerin Even Brigther a few times now and I always get a good response in the comments as it seems so many of you love it. It’s been 8 weeks since my mother started using it in the hope it would fade her hyperpigmenation and it is time to share her results. The range also comes with a Brighter Spot Corrector which is a serum that is applied twice a day to small areas of hyperpigmentation such as age and sun spots. The applicator is a small doe foot one meaning you can apply it very precisely although it is harder to target slightly larger areas. I wouldn’t say the picture really shows the whole story but my mum didn’t want her whole face on my blog so we currently just have a tiny section of her skin. 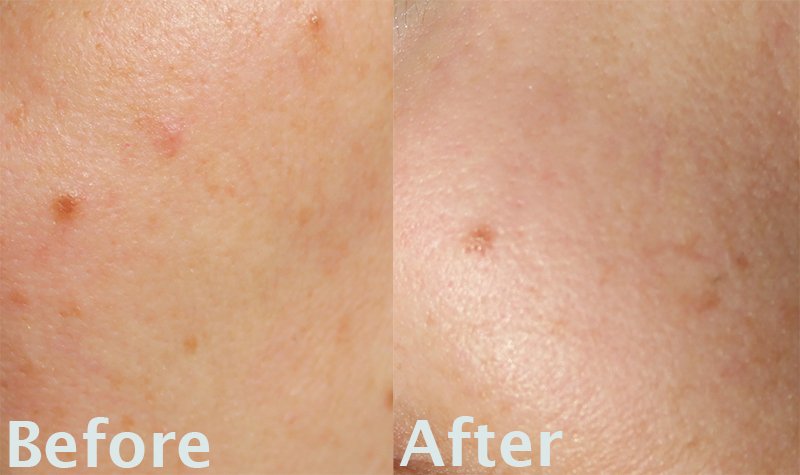 The biggest different in her skin is how much more radiant it looks and even less irritated, the pigmentation has lightened and overall looks younger and healthier. My mum has already recommended it to a few friends so I think it is safe to say it is a great cream to try if you are looking to add more radiance and reduce hyperpigmentation. 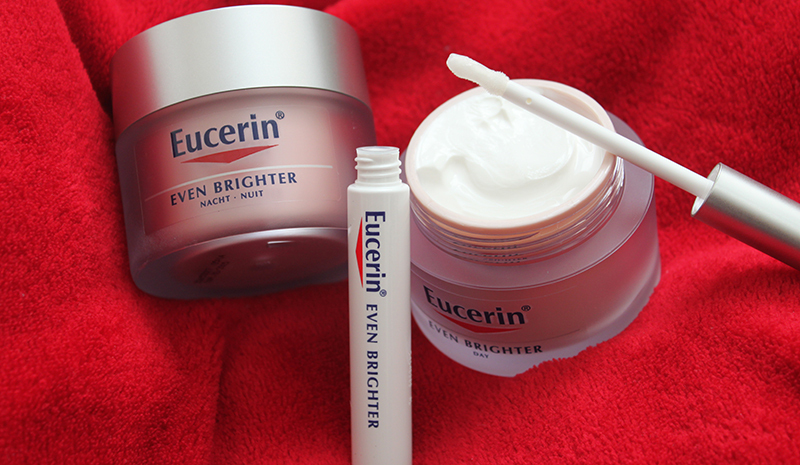 I’ve blogged about the Eucerin Even Brighter range a few times now and my mothers experience with it. It is a small range made up of three products which help reduce hyperpigmentation and promote natural radiance. Your comments have all been great and a lot of you already love the range so I am excited to be giving you the chance to win a set to try for yourself- all three products! I am giving away three sets and it is a great product for anyone trying to lighten any pigmentation or just get healthier and brighter looking skin! As I previously mentioned my mother has just started trying the Eucerin Even Brighter range. She is the most sceptical person I know and getting her to change from something that she knows work is a challenge! That is why I was very surprised when she told me how much she was enjoying the range and asked if it was expensive as the results were that good. I explained that the range is very reasonably priced and she said she would be buying the range for all her sisters. The main reason I recommended it to my mum is because it claims to reduce hyper pigmentation, although that isn’t the change she has noticed after 2 weeks. Instead she feels her skin is more hydrated and overall much more radiant. I will share some before and after pictures at a later date but I must admit I am so tempted to start trying it too as my skin is so dry at the moment! My mums skin is looking much healthier with the addition of the day and night cream to her routine and it seems to be so great that I think I simply must try it too!